» An average adult has about 14 to 18 pints of Blood. » One standard unit or pint of Blood equals about two cups. » Blood carries oxygen and nutrients to all of the body. » Blood carries carbon dioxide and other waste products back to the lungs, kidneys and liver for disposal. » Blood fights against infection and helps heal wounds. » There are four main Blood types: A, B, AB and O. » Each Blood type is either Rh positive or negative. » There are about one billion red Blood cells in a few drops of whole Blood. » Red Blood cells live about 120 days in our bodies. » Red Blood cells can be stored under normal conditions for up to 42 days. » Frozen red Blood cells can be stored for ten years, and more. » Platelets must be used within five days. » Platelets are small Blood cells that assist in the process of Blood clotting helping those with leukemia and other cancers, controlling bleeding. » Plasma, the fourth major component of Blood, is a sticky, pale yellow fluid mixture of water, protein and salts. It is 95% water. The other 5% is made up of nutrients, proteins and hormones. 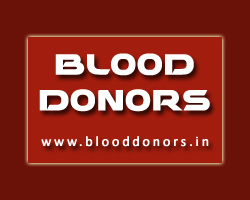 » Blood Plasma constitutes 55% of the volume of human Blood. » Plasma helps maintain Blood pressure, carries Blood cells, nutrients, enzymes and hormones, and supplies critical proteins for Blood clotting and immunity. » Type AB plasma has been considered as the universal Blood plasma type, and therefore AB plasma is given to patients with any Blood type. » Frozen Plasma can be stored for up to one year. » Human Blood; red Blood cells, white Blood cells, plasma and platelets are made naturally by the body in the bone marrow.